Xiaomi has expanded its range of notebooks by launching the Mi Notebook Youth Edition. The new model comes as a toned-down version of the new Mi Notebook that was launched last month with up to eighth-generation Intel Core i7 processors and 8GB of RAM. Being a part of the existing Mi Notebook family, the Mi Notebook Youth Edition features a 15.6-inch full-HD display and is powered by an eighth-generation Intel Core i5 processor. The notebook also has 128GB of SSD alongside 1TB of a mechanical hard drive. Aside from the Mi Notebook Youth Edition, the Chinese company has launched the Mi Smart Alarm Clock that is backed by Xiao AI voice assistant. 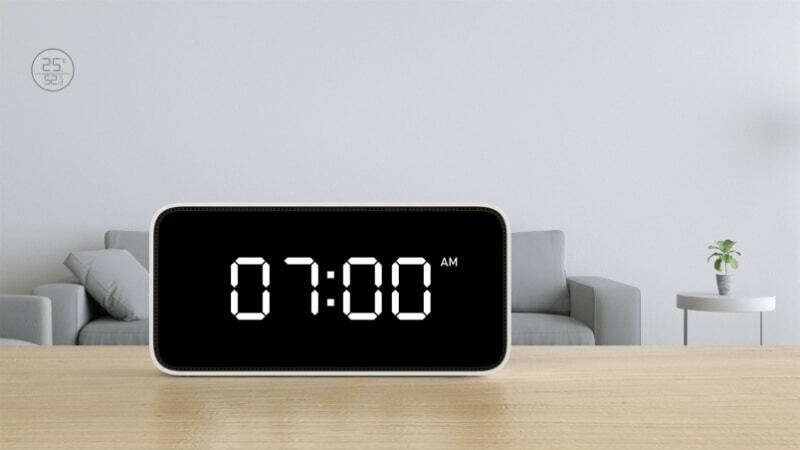 The Mi Smart Alarm Clock supports voice controls to let users snooze the annoying alarm using their voice. It is also capable of setting up to 30 different alarms using voice commands. Xiaomi has additionally offered the ability to add up to 80 reminders and deliver stock updates, news headlines, or listen to the preset radio stations. The Xiaomi Mi Notebook Youth Edition features a 15.6-inch full-HD display and is powered by an eighth-generation Intel Core i5 processor, coupled with Nvidia GeForce MX110 graphics along with 2GB discrete memory and 8GB of RAM. There is 128GB of SSD that is accompanied by 1TB of hard drive. Aside from the basics, the Mi Notebook Youth Edition has a dual-fan cooling system that uses a dual-fan technology along with a twin air outlet with 2+2 heat pipe layout. The notebook has a USB 2.0, Gigabit Ethernet port, HDMI interface, 3.5mm headphone jack, and two USB 3.0 ports. There is also a three-in-one card reader. Xiaomi has offered dual 3W speakers as well as a chiclet-style keyboard along with an independent keypad. Furthermore, the Mi Notebook Youth Edition comes with 19.9mm of thickness. As reported by GizChina, the Mi Notebook Youth Edition will go on sale in China with a price tag of CNY 4,599 (roughly Rs. 48,500). Details about its availability are yet to be announced. Coming to the Mi Smart Alarm Clock, it has a digital display that adjusts the brightness automatically. There is an option to use your voice to set up to 30 alarms or as many as 80 reminders. Xiaomi has provided its in-house Xiao AI voice assistant that also enables the Mi Smart Alarm Clock to push latest stock updates, weather alerts, and news headlines. Similarly, the clock has the option to control more than 100 connected devices using your voice commands. It can also stream over 2,000 Internet radio stations. Moreover, you can ask the clock your general questions. The Xiaomi Mi Smart Alarm Clock is powered by an SoC that has a 1.3GHz quad-core Cortex-A35 CPU. In terms of connectivity, there are Wi-Fi 802.11 b/g/n and Bluetooth 4.0 (LE) connectivity options. The clock also works with devices running at least Android 4.1 Jelly Bean or iOS 9.0. There is a dedicated button to mute the microphone in case if you don’t want to use the Xiao AI integration. Besides, it measures 126.2x27x60.8mm and weighs 170 grams. The new Mi Smart Alarm Clock is currently available for pre-orders in China through Xiaomi’s YouPin with a price tag of CNY 149 (roughly Rs. 1,600). Details about its availability and price in other markets including India are yet to be revealed.